Roger Patterson inspects my honeybees and finds that one of them is an ideal candidate for the ‘Bee Improvement Programme’. 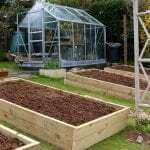 It’s only recently that I learned of the plan to “Improve” Manx honeybees. It may sound slightly ominous but the idea is to selectively breed our bees back to a native type. 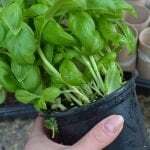 One that’s smaller, darker, hardier, and better suited for our wet and cold climate. 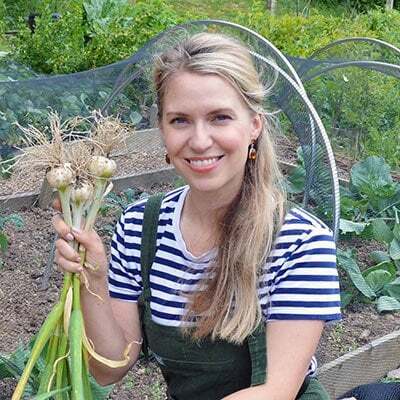 The Isle of Man is a perfect place to breed bees because we have closed borders and already have a population strong in the ‘British Black’ characteristics. English beekeeper Roger Patterson, Vice Chairman of the Bee Improvement and Bee Breeders Association (BIBBA), is guiding a small group of local beekeepers in the art of breeding honeybees. They’ve set up an apiary and are currently scouring colonies looking for breeding stock to work with. Over the past few days Roger along with Keith Osborn and Phil Corlett of the IOM Beekeepers have been visiting colonies across the island. 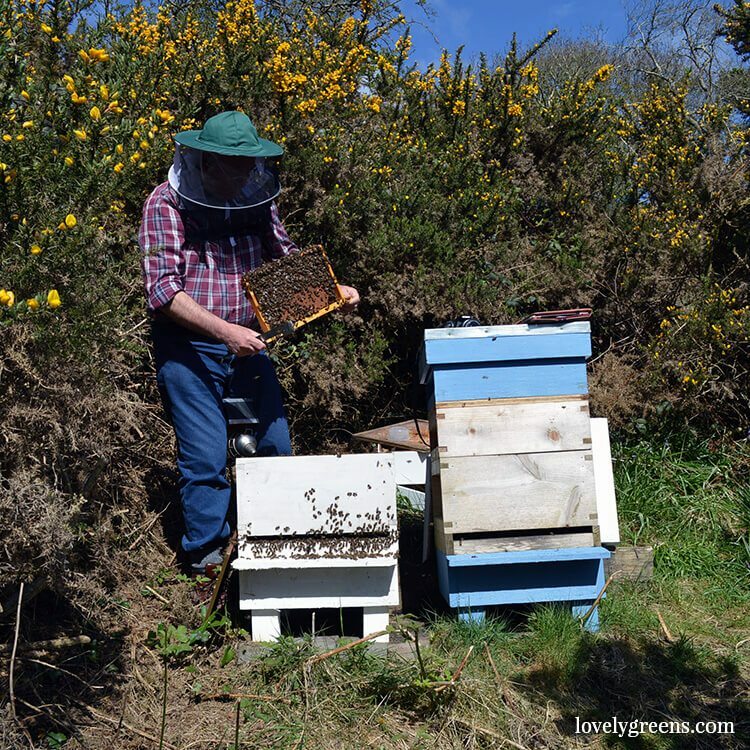 This morning they visited me and my two hives in Laxey. I was a little nervous meeting them since my bees, hives, and apiary have never been inspected by another beekeeper and especially not one as experienced as Roger. We walked down from the allotment carpark and into the sheltered area I cut into the gorse for my hives. Immediately all three beekeepers picked up on how busy my bees were. The sun was shining and there was a soft buzzing cloud around each entrance. 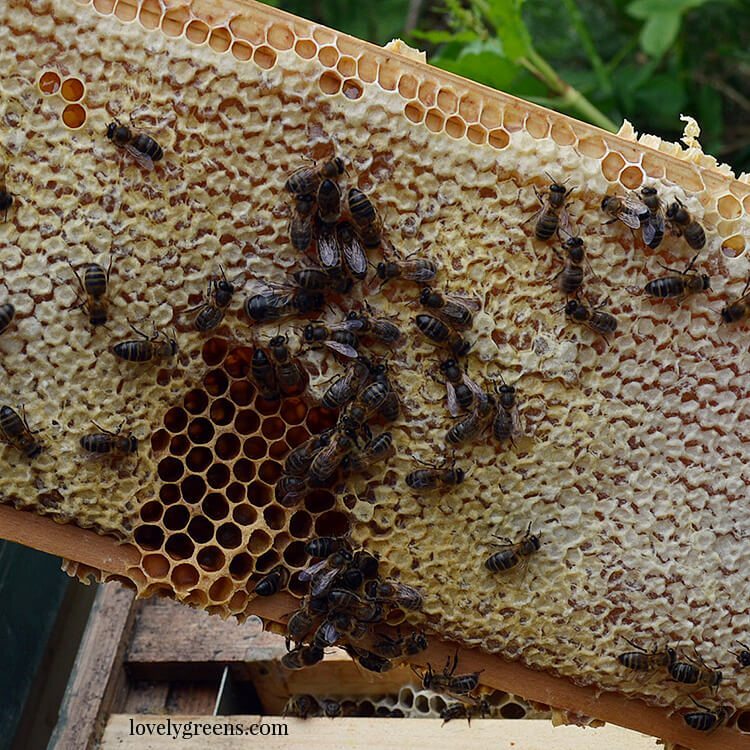 I’m very pleased to say that not only did my bees turn out to be the most advanced Roger had seen over the weekend – meaning that they were collecting more nectar and producing more babies – but that they both had excellent characteristics. 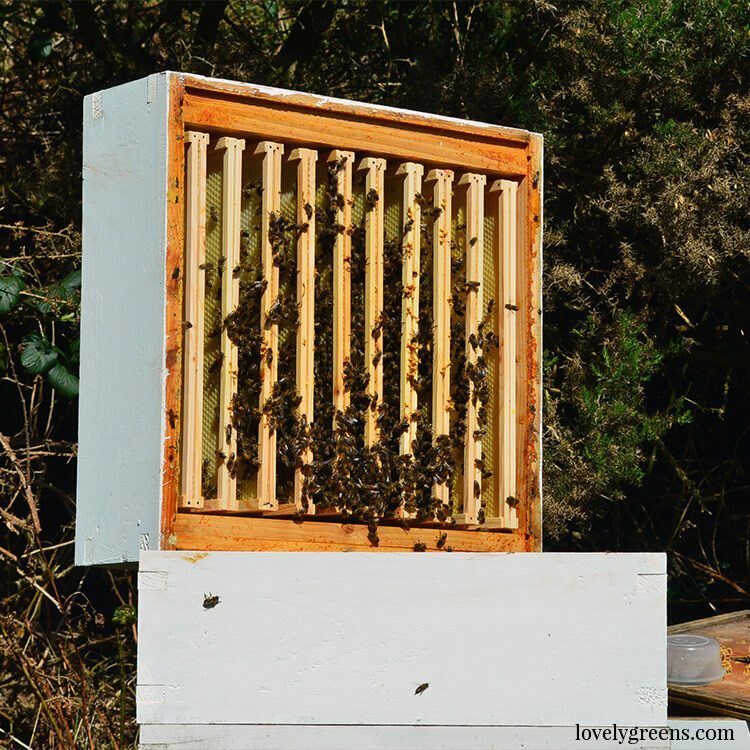 The colony I’ve been calling my aggressive hive was actually only a little ‘Spikey’ Roger said and the Blue hive colony I recently moved back to Laxey is good enough for breeding from. More pointedly, neither require re-queening in his opinion. – A small insect that’s dark in colour and almost completely black. – They don’t fly up at you when you open the hive. – Calm and docile when inspecting the frames. You should be able to wave your hand about a centimeter from the bees on a frame and have zero reaction from them. – Prolific nectar gathering. There were spots of nectar dripping down the frames which he said was only gathered this morning. You can see it in the video. I’ll wait to hear back from Keith and the Bee Improvement group but in the meantime my blue hive has been earmarked for breeding. I’ll be happy to assist them in their work and am more than happy for the bees to help out too. 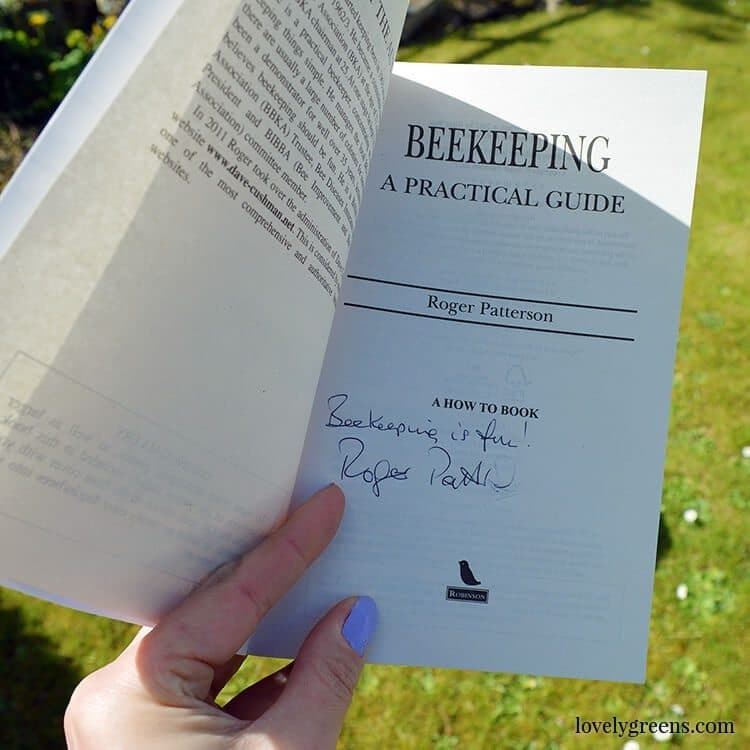 On our farewells Roger gave me a copy of his book, Beekeeping A Practical Guide (buy it at Amazon.com or Amazon.co.uk). I was a bit cheeky and told him I wouldn’t read it unless he signed it for me! He gave such great feedback and countless tips during the inspection so I can’t wait to read it. This post may contain affiliate links. Thank you for your continued support of this site! Find out more.